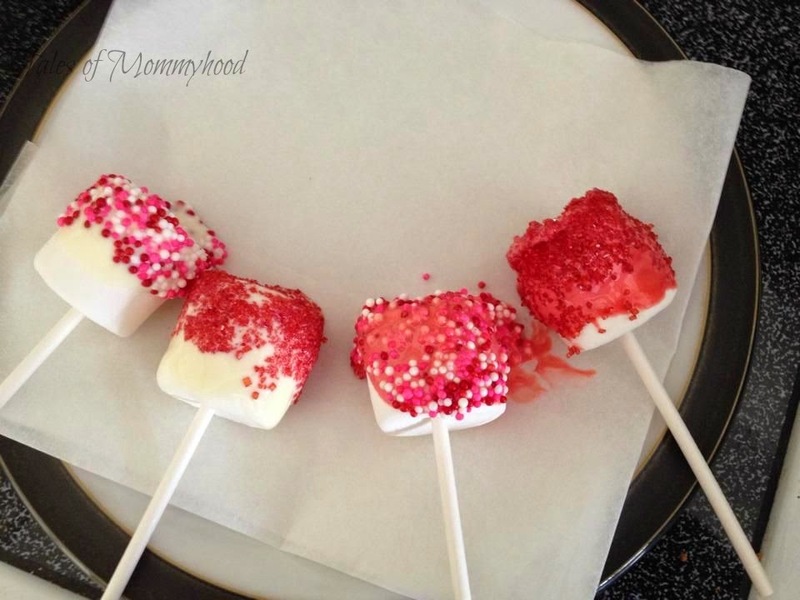 While surfing for Valentine's Day ideas for the kids, I found these cute Marshmallow pops. Mr. J and I decided to give them a try and this is how they turned out. **Mr. J and Mr. K really enjoyed them, I found them to be WAY too sweet...but they are definitely cute and would be adorable added to a valentine's card! Love these! 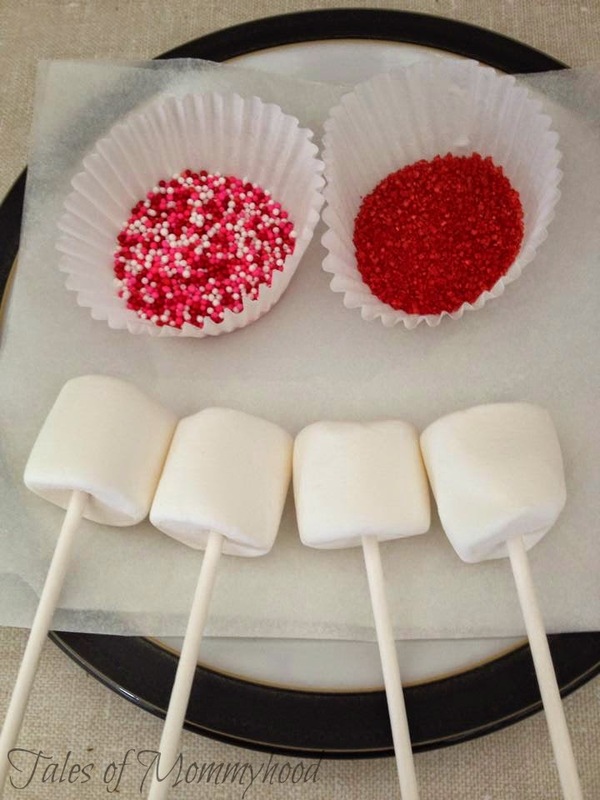 I love little food crafts that kids can help with. 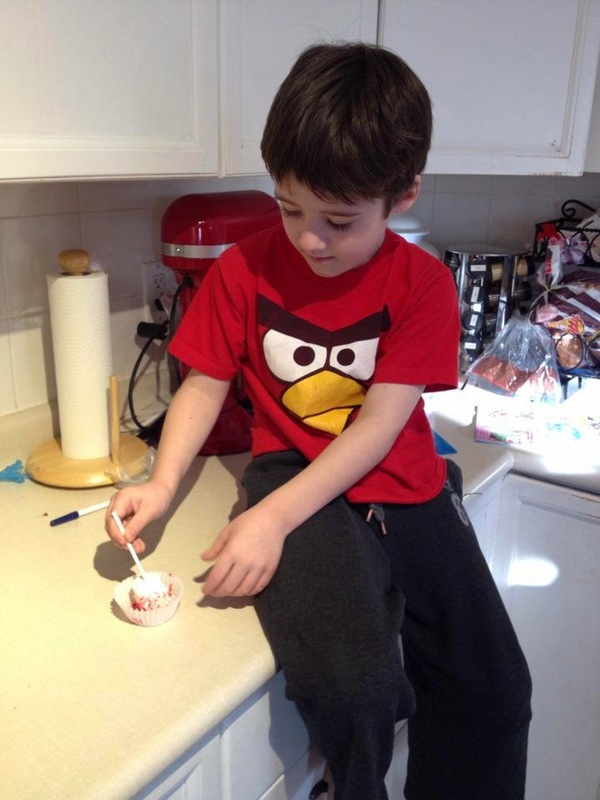 Thanks for linking up to my Family Fun Friday! 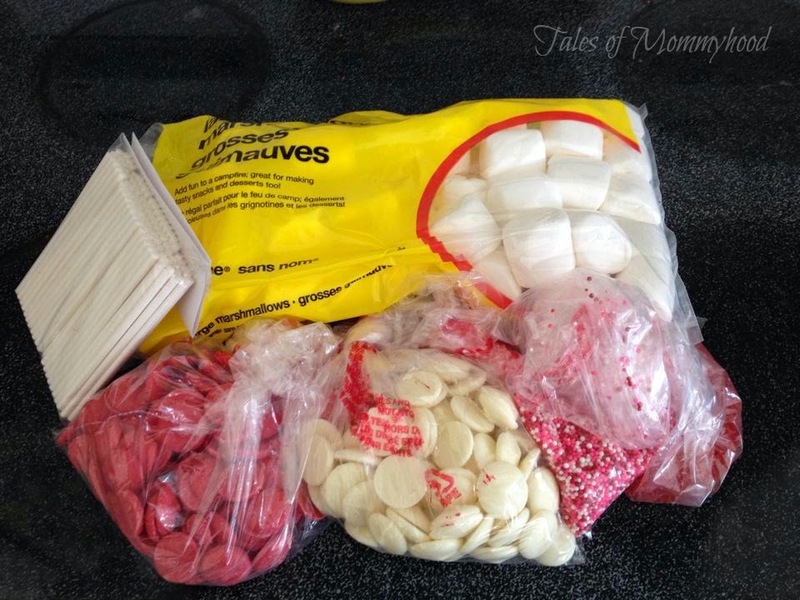 These are just like the marshmallow pops I made for Zackary's Super Mario Bros. party except I stuck quartered mini marshmallows into the candy coating to turn them into mushrooms. 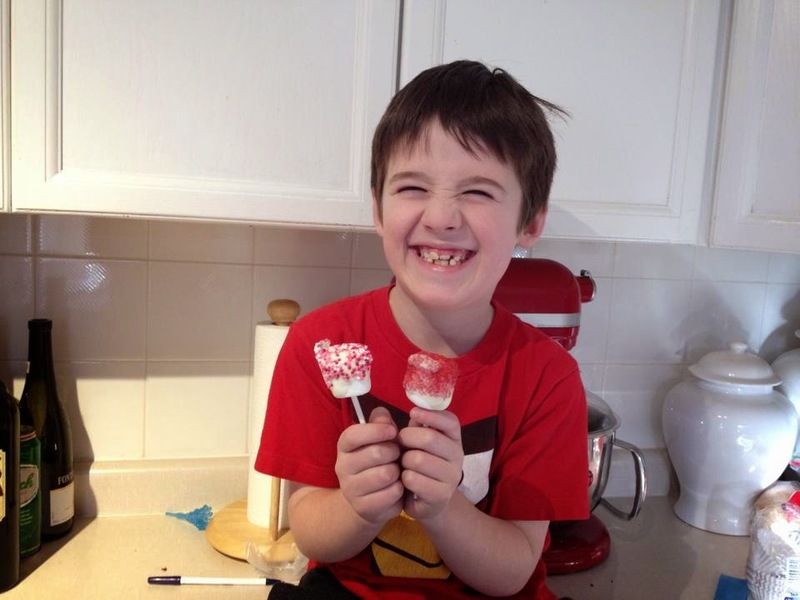 Lol I think I have some red wafers left; I'll have to make these for the boys this Valentine's Day! those would be perfect for a mario theme! I am sure the kids loved them! cute idea, i bet the would be sweet, but also super delicious too! thanks - it was tasty, but 1 was enough for me! Yum and fun! 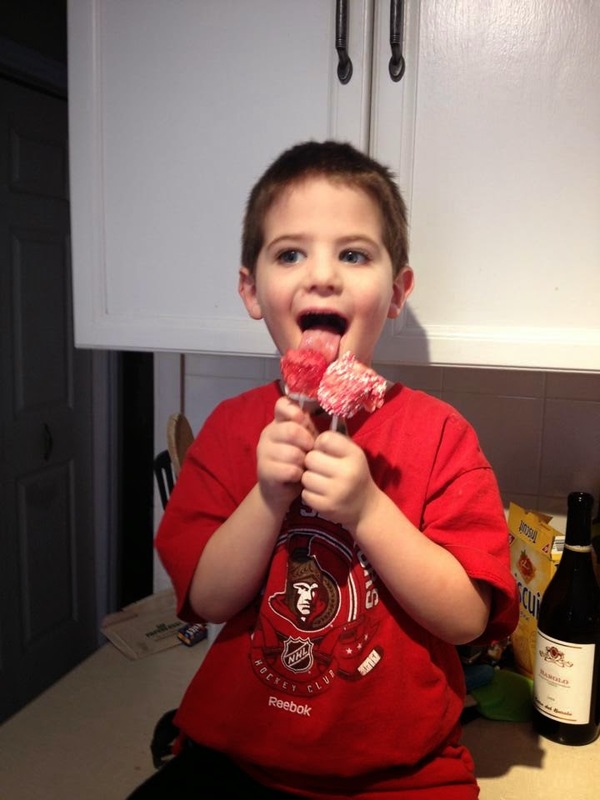 Look how your little guy is enjoying the marshmallow pops!